Ahhhhh! I am so excited to share these new, super tasty and protein packed energy balls with you. And, they have one of my favorite ingredients of all time, TAHINI. Are you familiar with Tahini? how about Molasses? Let me tell you a little bit about the stars of our energy ball show. 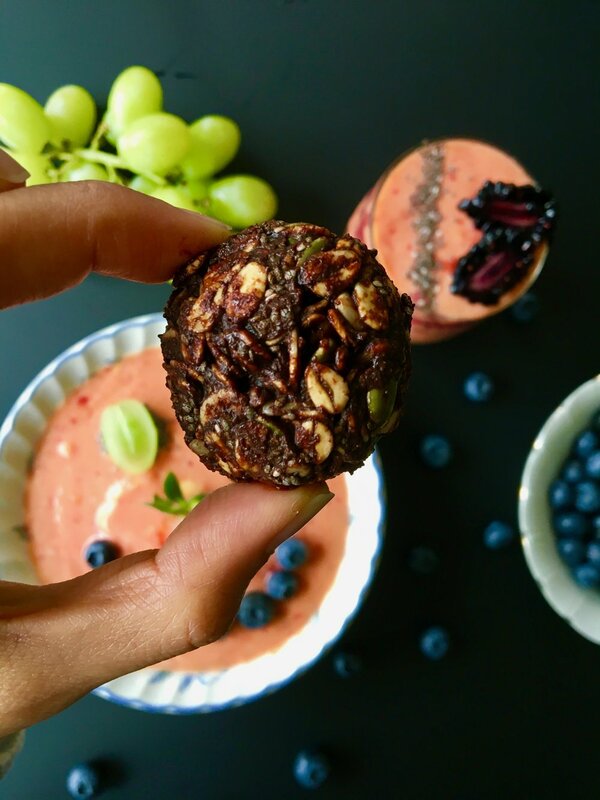 These energy balls are packed with vitamins, minerals, and so many healthy properties for you, which I go into further detail in my Youtube video below. These energy balls are Vegan, Plant-based, Gluten Free, & Dairy Free. And oh so tasty. And all you need is ONE mixing bowl and a few spoons. Add your dry ingredients to your bowl, then your wet and mix well. Then roll into a ball and store in the freezer for at least one to two hours or overnight.